Heroes Wanted! 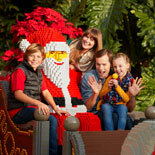 At LEGOLAND® California Resort everyone in the family becomes a hero and has great fun while doing it. There are more than 60 rides, shows and attractions that are sure to delight the family, especially the young ones. Make memories that will last forever. 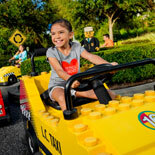 LEGOLAND® California Resort is built for fun to thrill the whole family. 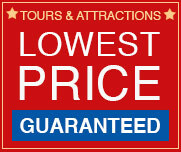 Offering a full day of interactive adventures with more than 60 rides, shows and attractions. San Diego LEGOLAND® California Resort delivers fun, imagination, and entertainment dedicated to today's young ones and their families. Experience the new LEGO® NINJAGO® The Ride an interactive, cutting-edge ride which allows riders to control animated fireballs, lightning, shockwaves and ice. 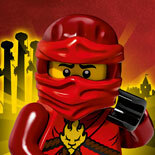 Ninja practice at special training areas to become masters of the ancient art of Spinjitzu. All that training gets put to the test on the stunning new LEGO® NINJAGO® The Ride. Everyone in the family becomes a hero on the LEGOLAND® California Resort LEGO Hero Factory attraction in the Imagination Zone. Here, young guests will be able to build and create their own heroes (or villains) and meet and greet their favorite Hero Factory characters. STAR WARS Invades LEGOLAND® California Resort. Take your family to a galaxy far, far away as LEGOLAND® California Resort introduces an all new STAR WARS Mini-land! Guests will experience scenes from the six STAR WARS movies, plus one from the animated series STAR WARS: THE CLONE WARS - all made of 1.5 million LEGO bricks. 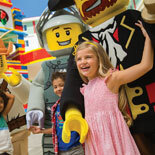 Interactive features, life size LEGO® models, and more than 2,000 LEGO® models will delight guests, young and old. 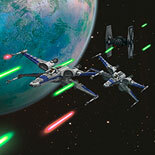 Starting on March 7, LEGO® Star Wars Days returns to LEGOLAND California! Come face to face with LEGO® Darth Vader and all your character friends from Star Wars. ADVENTURERS WANTED. The Land of Adventure, takes you inside the Lost Kingdom to uncover a forgotten empire, hunt for treasure and blast targets with lasers. But, make sure you have enough energy to explore the rest of the Land of Adventure including the new Cargo Ace, Pharaoh's Revenge and Beetle Bounce. PIRATES WANTED. Set sail on the high seas in a pirate galleon and get ready to use the water cannons as you meet other pirates in Splash Battle. KNIGHTS WANTED. Young knights test their bravery on the spine-tingling adventure, Knights Tournament, where cutting edge robotic technology meets medieval LEGOLAND® California Resort fun. FIREFIGHTERS WANTED. One of the most popular rides is being re-launched as the Fun Town Police and Fire Academy. Families pile into fire trucks and power them by pumping levers up and down as they race other families to put out the "fire". Now the fire trucks are being joined by police vehicles, and families race to stop robbers. DRIVERS WANTED. Put your kids in the driver's seat of real electric cars at the Volvo Driving School, where they'll earn a driver's license. XBOX FAMILY GAME SPACE. For the first time ever, experience Xbox gaming like never before. New to LEGOLAND® California Resort is the Xbox Family GameSpace full of fun games for everyone to play together. Come lose yourself in the land of LEGO® STAR WARS, LEGO® INDIANA JONES, and LEGO® BATMAN on Xbox 360. DUNE RAIDERS. A 30-foot-high attraction, is the ultimate slide experience featuring six side-by-side 50-foot-long racing lanes and a pair of double-helix corkscrews. Dune Raiders is themed in an Egyptian bazaar motif complete with interactive LEGOLAND® model scenes and fun new LEGO® models. Dune Raiders is the fifth attraction within Land of Adventure, the newest area including the Park's first dark ride, Lost Kingdom Adventure, plus a 16-foot tall Pharaoh made of more than 300,000 LEGO® bricks. Plus, check out the other exciting attractions. Dig for dinosaur fossils in sand at Dig Those Dinos. 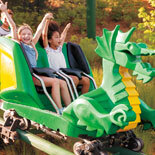 Hop on Coastersaurus and take a journey through a Jurassic jungle of animated and life-size LEGO® brick dinosaurs. Also, be sure to catch the action-packed live shows and grab a bite to eat at one of the great restaurants. It's just what every hero has been waiting for! Get your eTickets today and enjoy LEGOLAND® California Resort - and a full day of fun! Great family fun and great memories! 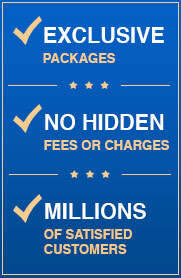 Admission to the LEGOLAND® California Resort Water Park is not included. LEGOLAND California Resort is open daily with extended hours during spring break, summer and select holiday periods. The Park will be open every Tuesday and Wednesday in October and also available the Tuesday and Wednesday before Christmas. The Park is closed Tuesdays and Wednesdays during select seasons. Operating Times vary by season and are subject to change. Please present this eTicket at any Legoland California ticket window for admission (will not be accepted at the turnstile). Times and schedules subject to change without notice. ADA Accessible. Coolers and outside food are not permitted. You will find Guest Services at the main entrance of LEGOLAND California, to answer questions and offer assistance . If you wish to leave and return the same day, at no charge, please have your hand stamped before you exit. Smoking is prohibited within the Resort. Guests wishing to smoke may exit the Resort gates to do so. A designated smoking section is available outside of the Resort.